Though the proponents of the Montreal proposal welcomed with the greatest joy the International Council’s green light, several fundamental questions remain unanswered, especially regarding the plausibility of their aims. Core issues are still unresolved, namely the level of local and international participants, funding sources and, most importantly, the real political impact of the magnitude of required resources on social groups and movements already grappling with many difficulties in Quebec and in the rest of Canada. The stakes and the risks are high. It is time for the proponents of the event, if they are serious about turning it into a real political success, finally address the issues raised by their project. The level of international participation for the event is another layer of uncertainty. Because of Canadian visa restrictions, high costs of transport and accommodation for those coming from overseas during in the high tourist season, many international participants will face great obstacles before being able to attend. Given the importance of those barriers, proponents of the WSF in Montreal admitted the problem in their own original presentation of Montreal’s candidacy to the International Council. As a “solution”, they suggested a “massive use of the Internet’s potential to foster 1,000 simultaneous remote Social Forums in the four corners of the world ». By their own volition, they were proposing to “solve” the potentially lacking international participation by discouraging their physical presence in Montreal. Yet, international participants represent 20% of the expected participation. Since the last IC meeting in Tunis, proponents of the Montreal WSF have adjusted their solution and decided to launch a major campaign demanding that the Canadian government reduces the level of visa restrictions. However, since the current Conservative government is currently doing exactly the opposite, it seems highly uncertain that this campaign, as important as it is, will facilitate the entry in Canada of participants from the Global South. Secondly, the budget involves nearly a million in voluntary services that would be offered, for free, to the event. However, volunteers do not come freely. At the very minimum, they need to be housed, transported, and fed. Reserving venues and spaces is also an issue. The WSF 2016 proponents expect to have access to two universities, one college, the Palais des Congrès, (Montreal’s Convention Centre) as well as some outdoor sites. Even if all those venues are available, any experienced organizer know that a « free space » actually costs money to cover security, insurance, technical assistance, equipment, furniture, permits and much more. So far, on the question of the very purpose of the Forum and the expected results, the documentation offered by proponents of the WSK 2016 only manages to provide vague logistical answers. They tell us of long demonstrations that will open and close the event, “1500 self-organized activities” will happen within a “World Social Territory” of “3 km from UQAM to Concordia University” with “gathering places” on the “premises of these two universities, the Cégep du Vieux-Montréal (a college), the Emilie Gamelin Place, the Place des Festivals, the Victoria Square and the Convention Centre. That is certainly a lot of space. But it doesn’t answer the question as to the expected or desired outcomes of the event for the social struggles here. The WSF 2016 only exists for the event and will not survive its own process. So far, the project of the Montreal WSF appears without any purpose. The event does not seem to address any political issue other than its own occurrence in August 2016. Moreover, the achievements of the People Social Forum are ignored as demonstrated by the lack of willingness to involve or retain any commitment from the sheer number of social groups and movements who were involved in the People Social Forum. It is revealing to compare the list of groups that supported each event. As far as the Montreal WSF is concerned, there is a blatant lack of representation from movements in English Canada and indigenous movements. There is even a stark absence of important groups in the Quebec civil society, the very basis, at least in theory, of the Montreal WSF. Where are the important women’s rights groups? The students? Where are environmental groups and citizens active on the climate justice front? The labour groups and the unions? Not only did those important groups have not yet expressed support for the Montreal WSF, but the overwhelming majority of them have not been approached or consulted on the matter of the political orientations of the event. 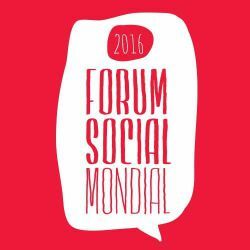 After the death of the Quebec Social Forum in 2009, the idea of a new social forum in Canada was revived during the People Social Forum as bridges between French Canada, English Canada and Indigenous movements were built. Yet, the work done during that process, though it was unprecedented, doesn’t seem to have left traces as, only 18 months later, we find ourselves in a process focused mainly on Quebec. It may constitute a desirable side track for some members of the large nationalist Quebec left who do not wish to bother themselves with endless conversations with the anglophones or the indigenous communities. How can we claim to be ready for a World Social Forum in Canada if not a single debate with those two groups were held?